Do you have red irritated eyes? Do your eyes burn? Watery Eyes? How about blurred vision that clears up after you blink? These are some of the most common symptoms of a chronic disease called Dry Eye. At Hidden Valley Eye Care we have a full dry eye clinic. We are able to get numerical values to how dry the eyes are and find what is the underlying cause for your dryness. Because we can learn this data about your eyes, we are able to treat your dry eye much more successfully. 1. Blackie C, Carlson AN, Korb DR. 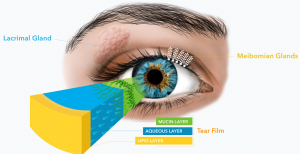 Treatment for meibomian gland dysfunction and dry eye symptoms with a single-dose vectored thermal pulsation: a review. Current Opinion in Ophthalmology. 2015; 26(4):306-13. Severe (Grade 3 or 4) eyelid inflammation. 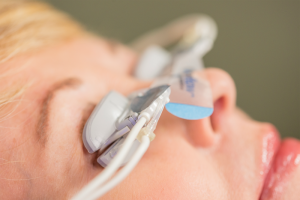 Patients with severe eyelid inflammation should be treated medically prior to device use. Potential adverse effects that may occur as a result of the procedure include, but are not limited to the onset or increase in: eyelid/eye pain requiring discontinuation of treatment procedure; eyelid irritation or inflammation [e.g., swelling (edema), bruising, blood blister, skin irritation (dermatitis), stye (hordeolum or chalazion)]; ocular surface irritation or inflammation [e.g., scratch on the eye surface (corneal abrasion), eye swelling (conjunctival edema) or eye redness (conjunctival injection or hyperemia)]; and ocular symptoms (e.g., burning, stinging, tearing, itching, discharge, redness, foreign body sensation, visual disturbance, sensitivity to light). Potential serious adverse events (defined as permanent impairment or damage to a body structure or function or necessitates medical or surgical treatment to preclude permanent impairment or damage to a body structure or function) that are not anticipated because of the device mitigations to prevent occurrence include: thermal injury to the eyelid or eye, including conjunctiva, cornea or lens; physical pressure-induced injury to the eyelid; and ocular surface (corneal) infection.